When my children were learning violin during their youth, they got into it pretty competitively. I was a bit worried when they went to sporting events that they would hurt their hands and not be able to practice violin for a long time or that they would hurt themselves in such a way that they would lose their fingers’ sensitivity and would not be able to play as well. Likewise, I realized that I rely on my eyes to make my living. To keep my eyes healthy and maintain good color sense is an important thing. Recently I came across information on Lutein. It is said that “Lutein is an important natural antioxidant that may help your eyes stay healthy while maintaining the health of your skin.” It is also said that Lutein helps keep your color sense keen. Wow, so I looked up what kind of foods are rich in Lutein; the following is the list by order of percentage. Luckily I love all these vegetables. One thing this list does not include are some of the vegetables that are popular in Asia, such as Japanese pumpkin which I was told has a lot of Lutein. 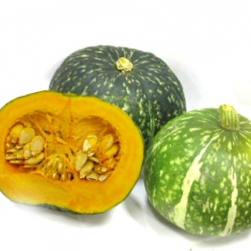 I LOVE Japanese pumpkin. Besides food, you also need to do the following to keep your vision sharp; it seems a very healthy life is required to work as a designer. 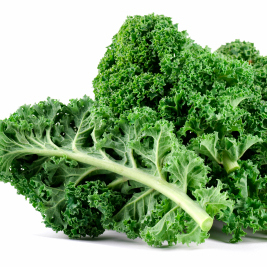 You are currently reading Kale for Color Sense at Woven-Words.